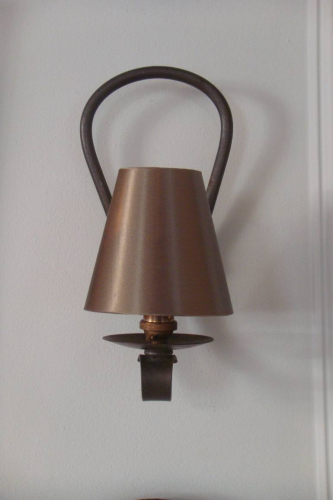 Pair of black metal horse shoe shaped wall lights with shades, French c1950. Charming design. Will take any bayonet bulb med fitting and shades can clip onto bulb. Rewired and PAT tested for UK use.